How to decrypt protected dvd? Any DVD Copy is a powerful DVD copying software. It can copy not only encrypted DVDs, but also protected DVDs. With it's ease to use interface, you can easily decrypt protected DVD. Please follow the instruction below to learn how to decrypt protected DVD. Insert a protected DVD into the drive. Choose the DVD Drive where your DVD has been inserted into. Click "Open DVD" button. 4 DVD clone modes are available. Choose "Full Disc", if you want to copy entire disc to hard drive or DVD; choose "Main Movie", if you want to copy the longest title of the movie; choose "Customize", if you want to define titles to be copied; choose "Clone", if you want to clone DVD to DVD in 1:1 ratio. There are 3 output targets. Choose "ISO Image File", if you want to copy DVD to hard drive and save as ISO Image file; choose "DVD Folder", if you want to copy DVD to hard drive and save as DVD folder; choose "C:\Documents and Settings\***(Owner/Administrator)\My Documents\Any DVD Copy", if you want to copy dvd to document folder and save as DVD folder, please make sure that your C drive has enough free space. Click button to copy DVD. If you choose "ISO Image File/DVD Folder", a window will pop up and you will be requested to select a path to backup the ISO image file or DVD folder. Wait a minute, the backup ISO image file or DVD folder will be successfully created. "I just wanted to pass on my thanks. Buying Any DVD Copy was one of my best decisions this year. 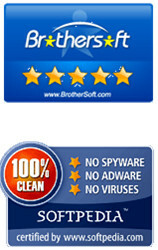 Excellent software that works where others have failed." "I think this is current easiest DVD copy soft, very good!"